Again a new Alkoxylation Plant with the BUSS ChemTech Alkoxylation Technology in operation. 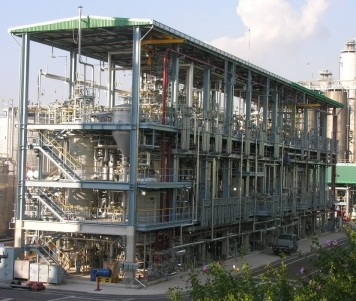 HONAM PETROCHEMICALS CORP. one of the leading suppliers of Ethoxylates and Propoxylates to the global surfactants market has started up their third BCT multi purpose Alkoxylation plant specially designed for products with extreme growth ratios such as PEG’s and MPEG’s etc..
One single BCT Loop Reactor for standard products. Pre-and post-treatment equipments to maximise efficiency.